Prominent & Leading Manufacturer from New Delhi, we offer concrete tiles moulds. 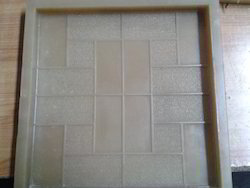 We are a leading manufacturer of Concrete Tiles Moulds. The range of concrete tiles are made using tile mixers which are initially made by pouring the slump concrete into moulds. The next step is to condense the concrete mixer for which we make use of vibro forming tables. Once the condensation is done, these moulds with wet concrete are kept on a flat plate in order to provide strength. Further, these tiles are exposed to the atmosphere in order to provide the adequate hardness to the tiles. Looking for “Concrete Tile Moulds”?